The fact is that Delaware Statutory Trusts offer several important benefits to real estate investors and they make a lot of sense for the right investor and the right 1031 exchange situation. In order to qualify for a 1031 exchange, an investor must have direct ownership in a property, as defined by the IRS. Unfortunately, the tax benefits of an exchange do not apply if the individual taxpayer reinvests in property through a partnership, corporation or LLC. Although DSTs are typically deemed securities under federal securities laws, they are treated as direct ownership of real estate under Section 1031 of the IRS tax code. Thus DST investment are eligible for 1031 exchanges both when you initially invest and when the DST liquidates. The biggest concern for many 1031 investors is meeting the IRS-imposed timeframes. As previously noted, an investor must find a suitable replacement property, which they know can be financed and ultimately acquired, within 45 days of selling their relinquished property. Furthermore, the investor must complete the acquisition within the 180-day closing period. If either of these timeframes are missed for any reason, the exchange will very likely be disqualified and the investor will have to pay taxes. The other big challenge for 1031 exchange investors is finding a replacement property that closely matches the value of the property they just sold. If the replacement property is too small in terms of investment amount, the investor can be left with excess funds, or “boot”, which are then taxed. If the replacement property is too large, investors have to come out of pocket with additional funds. DSTs allow investors to invest the exact amount (subject to the minimum investment amounts set by the Sponsor) necessary to satisfy their exchange requirements. When a DST includes debt, the mortgage financing is already in place. Investors assume a proportionate share of the debt on the property when they purchase interests in a DST for tax reporting purposes. The loan is typically “non-recourse”, meaning the loan limits the lender’s remedies to the property itself and an investor’s assets outside the property are protected. Investors are typically not required to guarantee any portion of the debt or sign any “carve-outs”. Accordingly, investors do not need to include the DSTs mortgage debt financing on their own personal financial statements. DSTs are a “Pre-Packaged” investment, which means the property has already been acquired thereby reducing the risk of missing 1031 timeframes. In addition to already owning the asset, the Sponsor has conducted due diligence on the property, secured the mortgage, if any, and has the property management team in-place. All of the property inspections, environmental reports, rent rolls, financial statements, etc. have been procured and made available to potential investors. Professional property and asset management are provided by the Sponsor or a third-party management company. DSTs are “fractional” or “co-investment” properties which allow multiple 1031 investors to purchase equity ownership interests in large, high-quality properties that would otherwise be out of reach. For example, an investor with $100,000 in exchange funds can make a 1031-qualified investment in a professionally managed $50 million apartment property. 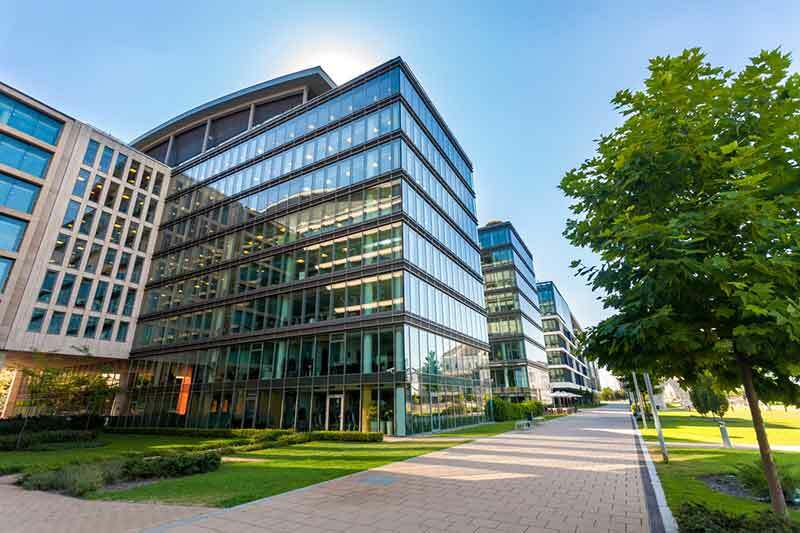 By exchanging into a Delaware Statutory Trust and pooling equity with other co-owners, the investor is able to own a portion of one or more institutional-grade properties, which are significantly larger than the investor can purchase on their own. One of the most compelling attributes of DSTs is the ability to diversify into multiple DST investments. Since there is no limit on the number of DSTs investors can invest in, investors can exchange into several properties, allowing for diversification by property types and locations. For example, DSTs can allow an investor to make a 1031-qualified investment in a professionally managed $50 million apartment property, a $100 million portfolio of Walgreens stores, and a $50 million downtown office building all within the same 1031 exchange. Please note that diversification does not guarantee returns and does not protect against loss. For many 1031 exchange investors, Delaware Statutory Trusts can be an appealing alternative to acquiring a property on their own. It offers a combination of investment efficiency, quality properties, flexible options, makes meeting IRS-imposed timeframes simpler and alleviates on-going landlord duties.